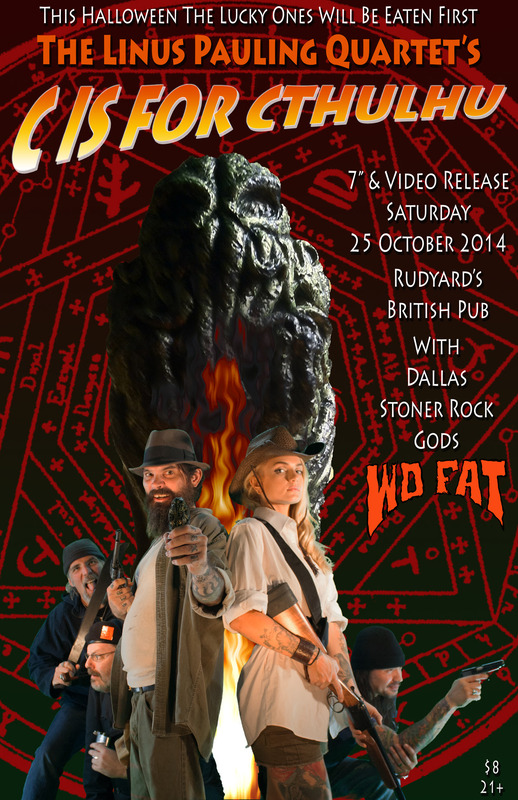 Houston’s very own psych legends, The Linus Pauling Quartet, play a show this Saturday (10.25.14) at Rudz, to celebrate the release of the video and 7-inch single for “C Is For Cthulhu”. More information may be found on Facebook. Cover is $8 for 21+.